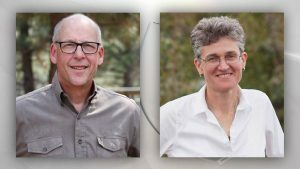 BEND, Ore. – Congressman Greg Walden (R) has accepted an invitation from News Channel 21 (KTVZ) to attend a televised debate with Jamie McLeod-Skinner (D). The debate is scheduled to take place in Bend on Friday, October 5 at 7:00 pm Pacific Time. On July 29, at the Chief Joseph Days Parade you agreed to give voters the opportunity to see us debate. I learned on September 17 from KTVZ-TV in Bend that you agreed with them to appear at their studio at 7 p.m. on Friday, October 5th, for a 30-minute television broadcast exchange, moderated by the station. A robust debate for public office includes an exchange on issues of concern to voters, in a venue that is accessible to the public, with a neutral moderator. My concern with KTVZ’s proposed format is that it does not meet those criteria. Only 30 minutes barely provides each of us 10 minutes to respond to questions when introductions, opening statements, and wrap up are factored. The issues facing our district deserve more time than that. The KTVZ debate would be closed to the public – I specifically asked the station about this and was told that the public cannot be accommodated. As you know, KTVZ is an affiliate of the News-Press & Gazette Company (NPG) headquartered in Missouri. The Chairman and Chief Executive Officer of NPG, David Bradley, personally contributed $1,000 to your campaign, earmarked via the National Association of Broadcasters political action committee (NAB PAC). Further, a Senior Advisor of NPG, John Kueneke, contributed a total of $1,250 for your campaign earmarked via NAB PAC. While the staff of the local affiliate station may be unbiased, there is nonetheless a legitimate voter concern about the perceived impartiality of the KTVZ venue. I was delighted to see the City Club of Central Oregon offered to host an impartially moderated debate, open and free to the public, with the opportunity for a live broadcast. I propose that we mutually agree to accept the City Club’s invitation to debate, at the same time and location in the district when you have already said you are available: on Friday, October 5th, at 7 p.m. in Bend. I propose a 90-minute debate, providing us both the opportunity to respond to questions posed by a moderator selected by the City Club, and allowing voters and journalists to attend and ask questions. My campaign will work with yours to ensure that the debate may be broadcast live on television, radio and the Internet. I further propose that we mutually agree to at least two additional debates, one in eastern and one in southern Oregon, prior to ballots being mailed to voters. Please have your staff respond directly to my staff. To date, my campaign has had no success communicating with you or your campaign via telephone, email, social media or any other means. Given that difficultly, I am sending you this letter both privately and publicly in the hope we can communicate regarding debate. I look forward to your prompt reply. Please contact my Campaign Director, Nichole van Eikeren, at (541) 516-0108. News Channel 21 reached out to both candidates with a proposed format for a debate that will solicit questions from the public, be broadcast live to a wide audience in Oregon, live streamed on social media, and available online for anyone interested to view in its entirety after the debate concludes. Greg has agreed to this debate and informed the News Channel 21 that he has accepted their invitation. This venue and format will allow for the fair, non-partial, and balanced platform for a debate that Greg agreed to in July. While this is a stark contrast to the one-sided forums hosted by groups like Indivisible that Greg’s opponent has opted to participate in, we see no reason to object to a debate in the district’s largest city moderated by a respected journalist. Greg looks forward to a productive and in-depth debate on the issues impacting Oregonians with his opponent on October 5. KTVZ General Manager Bob Singer confirmed his parent company’s CEO did make a personal donation to Rep. Walden… but said the man isn’t involved in there news product in any way. He says KTVZ’s news is impartial and has no agenda. Singer adds that Independent candidate Mark Roberts has been added to the debate and they are now extending the debate to an hour long. McLeod-Skinner has until Friday to accept KTVZ’s invitation. She previously told them she would debate Rep. Walden anytime, anywhere.